I have been MIA for a few weeks. I went back to the Island. I was not able to make a trip back last year. I missed my home state. I was glad I finally was able to return. Weather was not the best - rain, hail, water sprout, then tornado! It didn't really matter. I was back to my Island home. While I was away, my sister asked me for my recipe to make haupia for a baby shower. 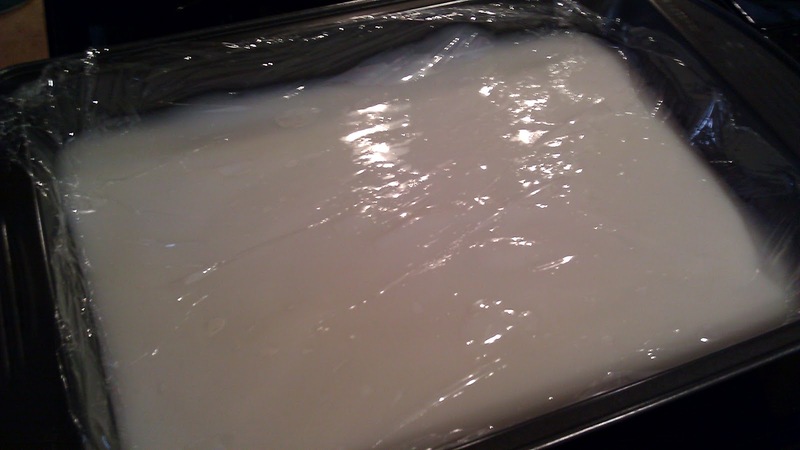 Haupia is a traditional Hawaiian coconut dessert for special occasions. 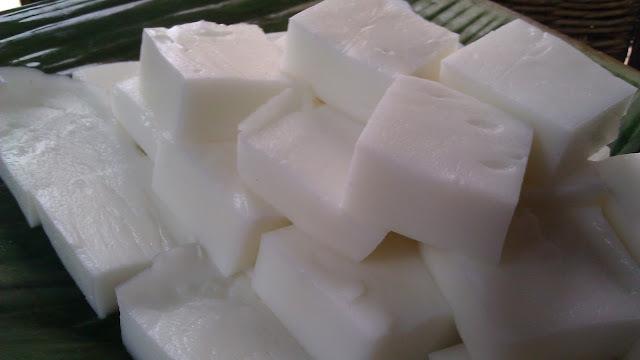 Haupia used to be make with arrowroot, today we use cornstarch as the thickener. Haupia can be very simple, just coconut milk, sugar and corn starch. However it can be tricky. The issue is something time the pudding will not set and you will ended up with "soup". I am going to share my secret with you. 2 - The secret is: use frozen coconut milk. The canned coconut milk is too thin. It does not work. Frozen coconut milk is usually available in Asia grocery store. 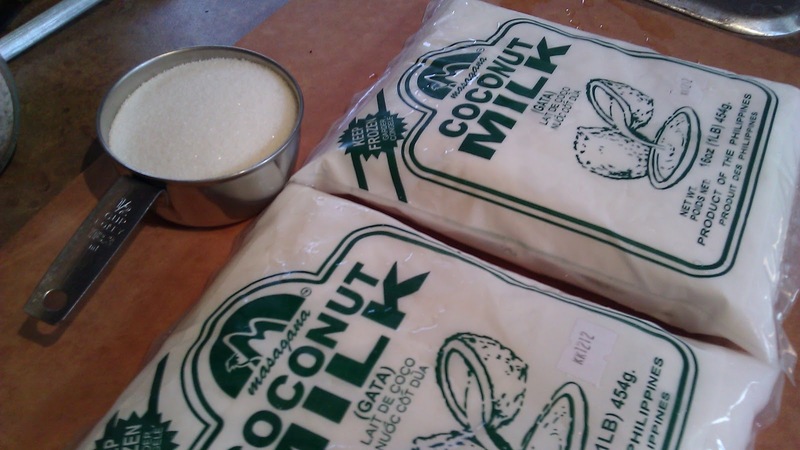 Please make sure you purchase the coconut milk and not the coconut gel. So... here is the recipe, please note that I am making a double recipe here. Continuous to stir, add cornstarch mixture. Bring to a full boil over med heat. Stir constantly till the pudding thickened and coat the back of the spoon. Place a piece of plastic wrap directly on top of the pudding. Cut into small squares and serve! To add a little tropical touch, try placing the pudding square on Ti leaves or banana leave! Oh...I grew up in Napa and used to shop at Nob Hill! Jeeze I was wondering what I was doing wrong! Thanks for specifying the type of coconut milk needed! It all depend on the pan. I use a glass pan, it comes off very easily. Just to be safe, I would suggest lining the pan with plastic wrap, just make sure the plastic is smooth! This recipe is perfect, it was a hit at the party. I will be making this again very soon. I tried lining the pan with plastic but couldnt get it on smooth so I used a glass dish ..it came right out. Thank you for the advice!! If I used coconut cream, how many cans is equivalent to your recipe? Thank you! I want to make your recipe but am confused by your words...the first thing you say is NOT to use cornstarch but then your recipe CALLS for cornstarch....??? Thanks for catching my mistake... I mean too much cornstarch. 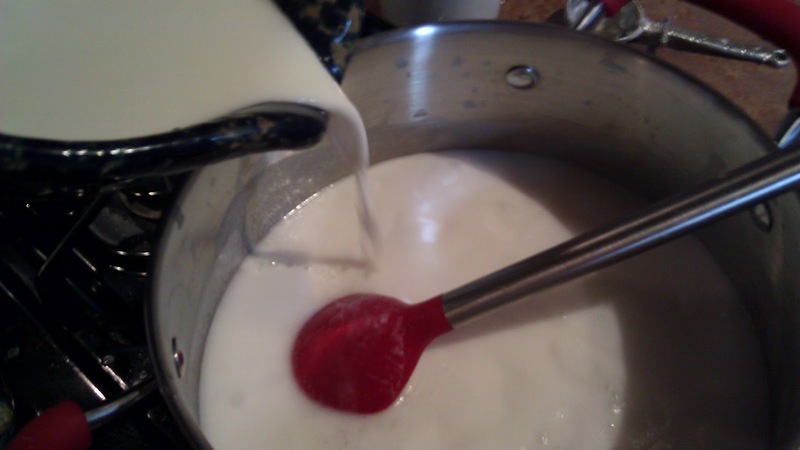 The old fashion way is to use arrowroot. Itʻs expensive. 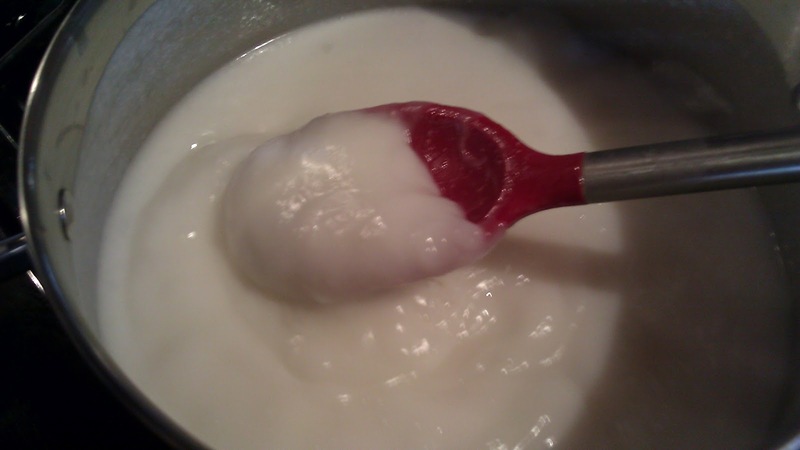 Cornstarch is commonly used these days. Aloha Carole, The recipe is for a 8x8 pan. When I double it, i would use a 9x13 pan. The photos are from a double batch. The recipe is a single batch. I made both a single and double batch this weekend. Same method. 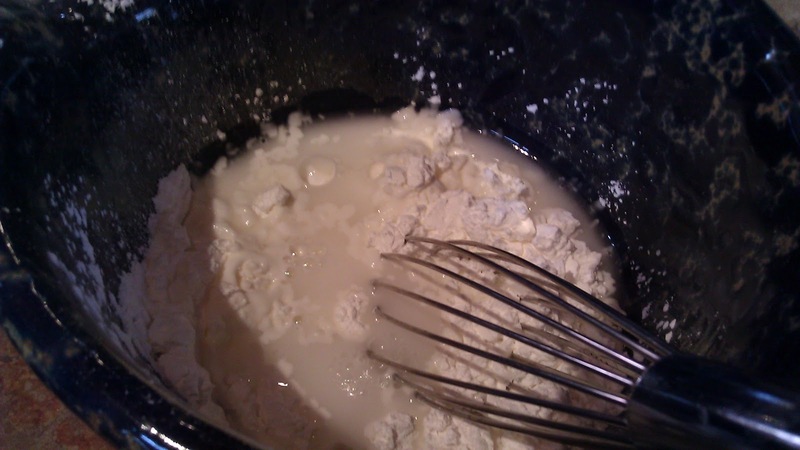 I mixed the cornstarch mixture using a whisk. It blended smooth and shiny very quickly. Thank you. I have been looking for desserts I am not allergic to. I am finding wonders in cultural cooking. Can Haupia be frozened afterwards? i have a freezer but no refrigeration right now. I would also like to know if haupia can be made in advance and frozen. Thank you for your reply. Sorry for such late reply. No, it is not a good idea to freeze haupia, it will get rubbery. You can however make it the day before. Cover it well and store in the fridge. 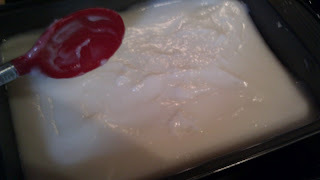 Three questions: (1) I've read elsewhere that frozen coconut milk isn't good to use because freezing it affects the consistency of the coconut milk/haupia. Doesn't sound like you've had any problems, though? 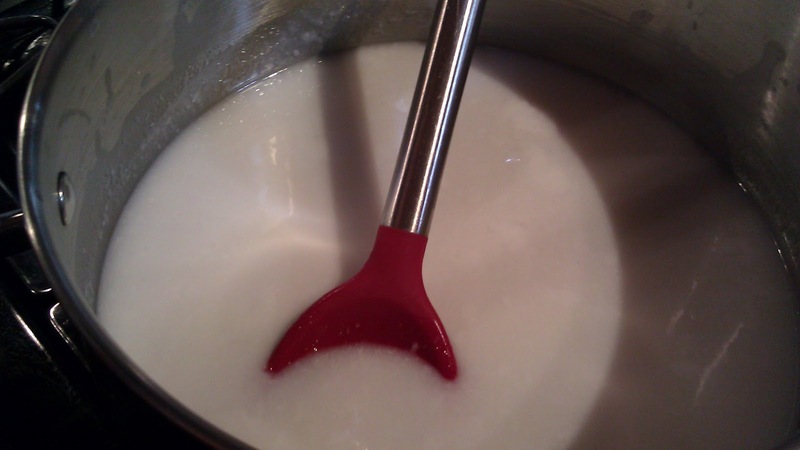 (2) Do you have a particular brand of frozen coconut milk you recommend? (3) Have you used this recipe to make haupia pie? If so, how did it turn out? 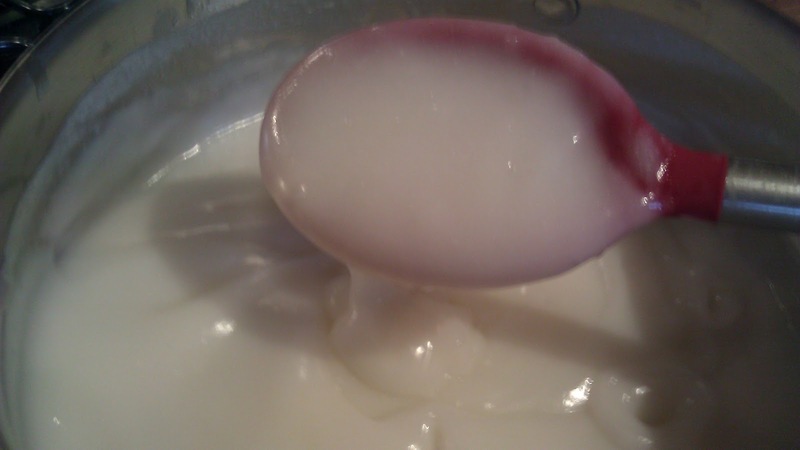 1 - Frozen coconut milk is actually a great product. The taste and texture is much closer to the fresh first squeeze you would make at home. I think someone is trying to point out, you can't freeze haupia, it will break apart when defrosted. 2 - No, I don't have a particular brand. They are usually from the Philippines or Thailand. 3 - Yes I made a haupia pie with this recipe. I am not fond of it. It was too stiff. This is classic haupia recipe. The texture is a bit firm. I prefer the pie a bit more on the creamy side. I use another recipe for that. I use less cornstarch and I mix in a little cream. I will have to make one for Christmas, I will post the recipe. Mahalo for answering my questions, Kulia! I just made your recipe tonight, and I'll see if I did it right in the morning. Please do post your haupia pie recipe! How long is haupia good for after making it? I made a 9x13 pan of haupia for a party which was canceled due a storm. Now I'm stuck with a whole pan and I'm one person. Lol. Even if I had two pieces a day it would still take me 2 weeks to finish it. Any advice would be greatly appreciated. I combined the leftover haupia with some coconut milk in either a mixer or blender, depending on how much leftover you have. I would start with 1/4 cup. You can also add a few Tbsp of melted chocolate, just swirl it into the custard mix, before you freeze it, it's a sinful little treat. Not the author, but haupia should be thick enough to pour directly on top of the cake, as long as the cake pan is deep enough. If you let it set and then scoop it, it'll be all broken up. I would, however, let it rest off the heat for a good bit before pouring it on top. It needs to set at least a little, or it might soak into the cake. You also want to be sure that it will set, or else the whole thing may soak into the cake. I heard of a "Poke" cake, where you poke holes into the cake, then pour the haupia mixture over it, letting it fill up the holes, then setting on top. I hear it's great. Have you tried it yet? We acquired several fresh coconuts, husked, ground, and strained them into a beautiful creamy coconut milk. Will your recipe work well using it? Can I use young coconut strip added with the Haupia? Will it work to substitute the sugar with alternative type of sugar (like coconut or maple sugar), or stevia?